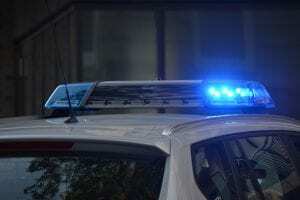 Schenectady, NY (March 27, 2019) – Late Tuesday morning, March 26th, a driver was reported to have fled a traffic stop along a road, subsequently causing an injurious collision at a nearby intersection. The crash happened around 11:00 a.m. in the area of Hulett Street and Delamont Avenue, according to police. Authorities stated that police attempted to pull over the driver of an unspecified vehicle when the individual fled the scene. Police did not pursue the vehicle, however, and the driver continued on before ultimately crashing into another car at the aforementioned intersection. The driver was reported to have also crashed into a parked vehicle, pushing it approximately 50 feet, as well as striking a utility pole. Police and paramedics quickly arrived on the scene and immediately transported the driver of the vehicle that was struck to Ellis Hospital to be treated for unspecified injuries. The driver who fled the police and caused the crash was promptly taken into custody. Our sympathies are wholeheartedly extended to the injured party as we maintain our highest hopes for their full recovery. Unfortunately, car accidents in New York are often fatal or seriously injurious, especially those which occur at intersections and which are caused by such blatantly reckless or criminal drivers. While it can be difficult, it is important for the victim to understand that they may have substantial rights at this time. At Hach & Rose, we realize that there is nearly nothing as difficult as dealing with a sudden injury, and as members of the community, our accident attorneys are here for you 24/7 to answer any questions you may have. If you have been injured in a New York car accident due to a negligent or criminal party, please don’t hesitate to call 212-779-0057 today.